Enterprising Culture is an international invite-only meeting that provides opportunities for unique discussions and exchanges between Canadian and French stakeholders and startups from the cultural, creative and media industries. Enterprising Culture draws high-level French and Canadian stakeholders in the sectors of education, arts, culture and heritage – academics, CEOs, content creators, designers, educators, entrepreneurs, government leaders and investors. Together, they generate substantive reflection on the ethics and impact of new digital technologies in creative, cultural and this year, educational work. This year’s forum not only spotlights the ethics and applications of machine learning and artificial intelligence (AI), but also how we interpret data to make meaning that puts humans at the centre. How do we move from understanding facts to creating insights? What does wisdom look like in the digital age? How do we teach future generations? Note: conference is by advance invitation only. Lunch, coffee breaks and post-conference reception provided to registered guests. For questions, please contact Lise Bourgeut, Program Coordinator, CFC Media Lab at 416.445.1446 x498 or by email at lbourguet@cfccreates.com. The Canadian Film Centre’s Media Lab (CFC Media Lab) is an internationally acclaimed digital media think tank and award-winning production facility. It provides a unique research, training and production environment for digital media content developers and practitioners, as well as acceleration programs and services for digital entertainment start-ups and related SMEs. Program participants have emerged as leaders in the world of digital media, producing groundbreaking projects and innovative, sustainable companies for the digital and virtual age. CFC Media Lab is funded in part by the Federal Economic Development Agency for Southern Ontario. IDEABOOST is a business accelerator with a difference – a bootcamp for technology companies that want to achieve success and scale in the media and entertainment ecosystem. An initiative of the Canadian Film Centre’s Media Lab, in partnership with Corus Entertainment, IDEABOOST provides high-potential Canadian startups with seed investment, mentorship, and access to its network, including investors, customers, and partners across the world through the Global Accelerator Network. IDEABOOST is funded in part by the Federal Economic Development Agency for Southern Ontario. 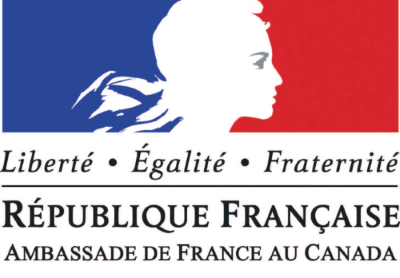 The Cultural Service of the Embassy of France in Canada works through the five Consulates to implement a cultural policy that focuses on three principal areas: inter-university cooperation, cultural cooperation, and French-language initiatives. Canada and France develop a significant partnership in cultural and digital fields. Air France is a leading global player in its three main areas of activity: passenger transport, cargo transport and aircraft maintenance. From its hubs at Paris-Orly and Paris-Charles de Gaulle airports, the airline operates flights to more than 320 destinations and 118 countries. Air France is a founding member of the SkyTeam global alliance, alongside Korean Air, Aeromexico and Delta. With the North American airline, Air France has also set up a joint venture dedicated to the joint operation of several hundred transatlantic flights every day. Creatubbles is the safe global community for creators of all ages. With users in more than 50 countries, it lets people share their experiences and creations safely, whether at home, school, events or other activities. Creatubbles seeks to connect the dots between natural human creativity, technology and business to inspire and bring out the best in us, including our youngest and most vulnerable. Creatubbles API allows any third-party app, platform, site or solution to save creative output directly to Creatubbles, positioning it as the logical aggregation point for children's authoring tools. Little Robot Friends create connected toys and apps for learning code and electronics. Designed for age 7 and up, our products make learning code fun and engaging, encourage the creative exploration of math and music, and inspire curious minds to discover their inner inventor. Created in 2006 as a non-profit organisation, Cap Digital is today recognized as the biggest cluster in Europe and one of the largest innovators’ collective in the digital ecosystem. Since 2014, we have been certified as 'Cluster of excellence' by the European Commission (Gold Label). "Enterprising Culture was a really great way to get a snapshot of some of the best work that's going on in AR and VR right now."